DLE president, Deborah English, was recently quoted in Progressive Grocer about how changing demographics and technology has affected the food retail industry and shopping experience. 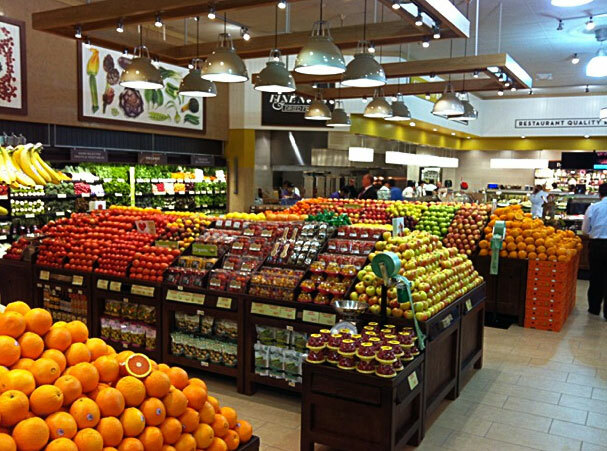 Here is a sneak peak at our latest project, Whole Foods Market Palm Desert! We handled a wide-range of services from layout planning, interior architecture, décor design, furniture, fabrication and final installation. Enjoy some photos from the construction phase to completed store below. DLE fabricated and installed decor at the Highland Village Whole Foods Market. It is the first Whole Foods in Denton County, near Dallas and Fort Worth. We were glad to help execute and craft the store experience for the community there! 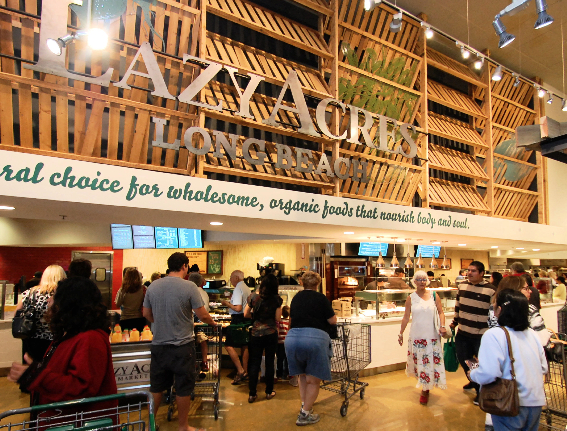 DLE designed the layout and interior architecture for the reopening of Whole Foods Market at the Casas Adobes Plaza on August 27, 2014. The store was closed for a year, as it was rebuilt from a 16,000 to a nearly double 31,000 square foot store. Read more to see photos of the store interior under construction. Check out this video of a recently opened 100,000 square foot food retail project that DLE worked on for several years. Taking over from another design firm, we created the concept design, from the layout, architectural interior design, and the decor and signage. Market Bistro by Price Chopper from John Callanan on Vimeo. Market Bistro is a distinct place, an experience that offers an ESCAPE from the ordinary, an ESTHETIC delight of sorts with its bold design, an ENTERTAINING place to explore anything food and finally, an opportunity to EDUCATE one’s self in the fine art of cooking. Opened August 19, 2014, the Nashua, New Hampshire Whole Foods Market features J.Bartlett’s Public House, a 50 seat pub. It is the first Whole Foods in the North Atlantic region to feature an in-store pub and restaurant, with 32 craft beers on top, wood-oven pizza and smoked meats! DLE designed the pub’s layout, interior architecture, materials and finishes, and furniture. Take a look at our latest store! Crowds are still thronging the new Gelson’s Supermarket in La Cañada Flintridge, CA. DL English designed the vast interior, including all fixtures, flooring, finishes, architectural elements, soffits, decor, as well as indoor and outdoor seating areas, giving the Gelson’s brand a makeover with fresh local flair. The Gelson’s at Long Beach was the first store to benefit from this new approach. Read about the La Cañada opening in this article from The Shelby Report. DL English Design wins design awards for two projects! 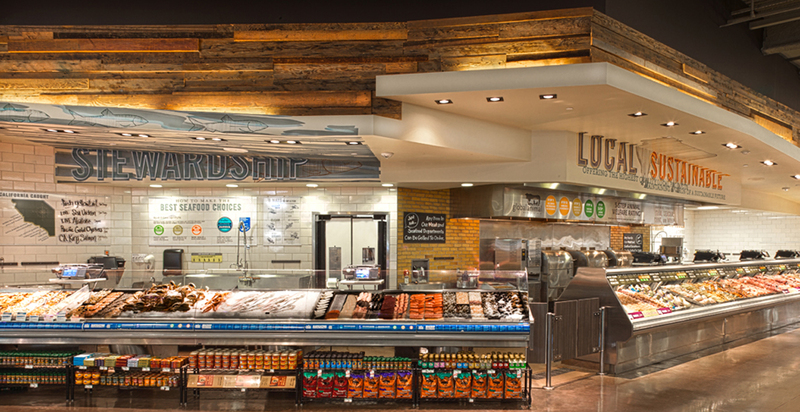 DL English won design awards for two innovative Whole Foods Market projects in 2013, in Oxnard and Newport Beach, California. 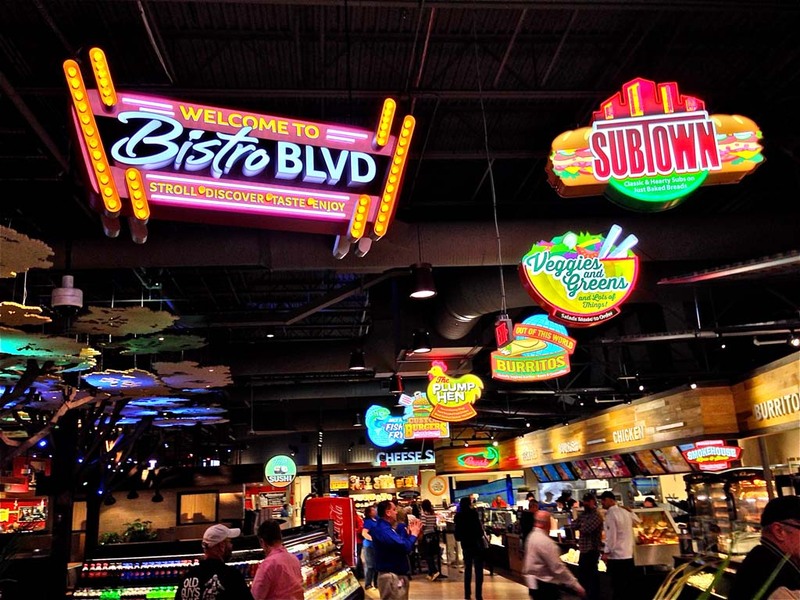 Both were selected as Honoree & Finalist in the Food Retail category of Interior Design Magazine’s Best of Year 2013. DLE’s work on the Oxnard store was selected as Finalist in Interior Design Magazine’s Food Retail category. We put Whole Foods’ values of sustainability and restoration into practice by creating a space that is aesthetically appealing yet carefully crafted with the environment in mind. DLE’s design for the Newport Beach store was also a Best-of-Year Honoree. The theme of this decor package was inspired by Whole Foods’ commitment to environmental preservation along with the famous natural setting of the area. The interior architecture is defined by stepped soffits of reclaimed wood and angled eyebrows like the layered bluffs carved out by the ocean over time. She adds, “We thought it was really appropriate to take more of an adapted reuse, or repurposed, approach. We want the customer, when they walk into the store, to walk into something they know, have familiarity with. That’s very important in food retailing—that you can walk in and figure it out and understand what you’re doing.” See more images here. Read about the new store in this article from The Shelby Report.